Well the Exec's at Imagi Studios think you do! 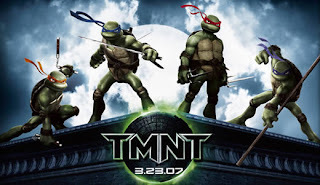 It has been reported by Playmate Toys, "Following the success of the TMNT theatrical release in 2007, Mirage Licensing and Imagi Studios have begun work on a new live action TMNT film for 2010! It's the turtles like you've never seen them before! Shellacious!" 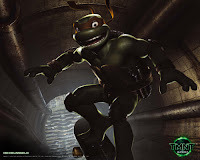 So they are gearing up for a Live-Action TMNT film. Does that mean their will not be a sequel to the CGI version of 07? Will the live-action version be the sequel? Do they mean live-action like, the original and still very memorable, version from 1990? I thought the CGI version in 2007 was very good. Alot of fun, great graphics, and a decent story. The one downside, the film remained very geared for children. I have a hard time sitting through it now, it reminds me of any typical Saturday morning cartoon. 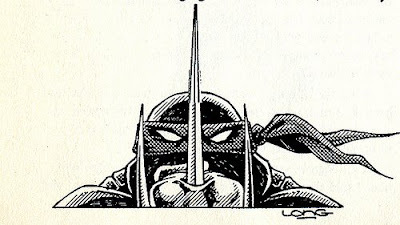 But the idea of another live-action adaptation of TMNT is mouthwatering. It seems as of late, studios, have finally realized they need to make these comic adapatations with more of a dark and adult tone instead of using the older campy interpretations. 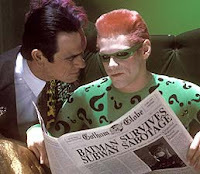 The best example is what Joel Schumacher did with the Batman series, he took a dark tone and turned it into a cartoon, that was absolute crap! Those two so-called "Batman" films he did were nothing but one-liners and fluff! More recently Christopher Nolan has given us true vision of Batman. Nothing is light-hearted about Nolan's vision of the bats and he has been rewarded with his cinematic achievements. Both Batman Begins and Dark Knight are comic and cinematic masterpieces. What are your thoughts? 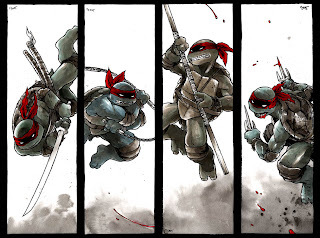 Pumped at the idea of a new live-action TMNT? Will it feature Shredder? Will it be darker in tone and more geared for adults? Should it be?